Caribbean scuba diving in Mexico is one of the best activities you can participate in, here in the Riviera Maya Mexico. The crystal clear, turquoise ocean waters and so many different sites to choose from make it easy for scuba divers of any experience level. The Caribbean ocean water here in the Riviera Maya Mexico is warm year round so the waters are always perfect for a dive in any season, not to mention the most beautiful! Riviera Maya scuba diving is one of the best places in the world to dive! The amount of incredible ocean reef diving spots are countless. You can dive close to the shore if your time is limited, or a short boatride away if you are more flexible. What makes the Riviera Maya unique in the sport of scuba diving in Mexico? which is actually the second largest in the world; making it a MUST SEE! 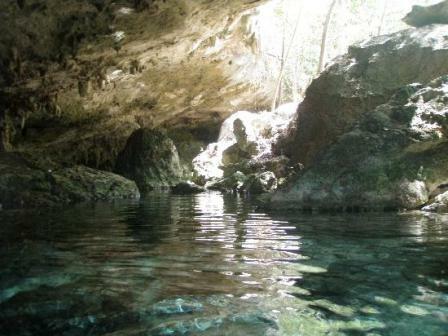 Also unique to the Riviera Maya are Mayan Cenotes which are underwater caves. They are found only in this part of the world. I don't know about you, but that alone makes it easy for me to decide to dive here as this is an incredible unique opportunity to experience Mexico's underworld. 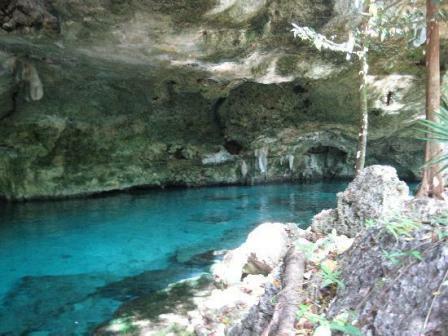 This area has the most unbelievable cenote diving in the world, as far as Caribbean scuba diving goes. What is different about cenote diving? Cenote diving actually have no current so the waters are extremely calm. The waters are warm (about 78 degrees F) and crystal clear. There are many different depths at different areas of the cenotes but the average is about 35 feet. 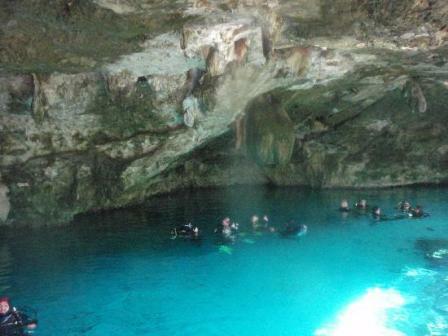 Riviera Maya cenote diving you will see stalagmites and stalagtites along with amazing sea life. What kinds of things will you see while Caribbean scuba diving? In the breathtaking Caribbean ocean waters you will see a numerous amount of tropical fish, some with colors so bright that you will be amazed! There are numerous reefs and coral with incredible varieties of color and shapes. 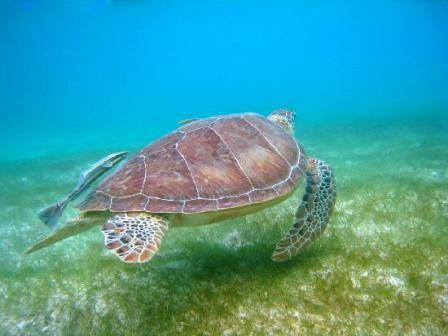 Lots of sea turtles grace the bottom of the ocean as well as stingrays. There are many different types of diving you can participate in here in the Riviera Maya including, night dives, deep dives, shallow reef dives, cenote dives and wreck dives. Scuba diving Playa del Carmen and the Riviera Maya Mexico will give you the most incredible experience in a magical setting! Here are lots of pictures to give you an idea.